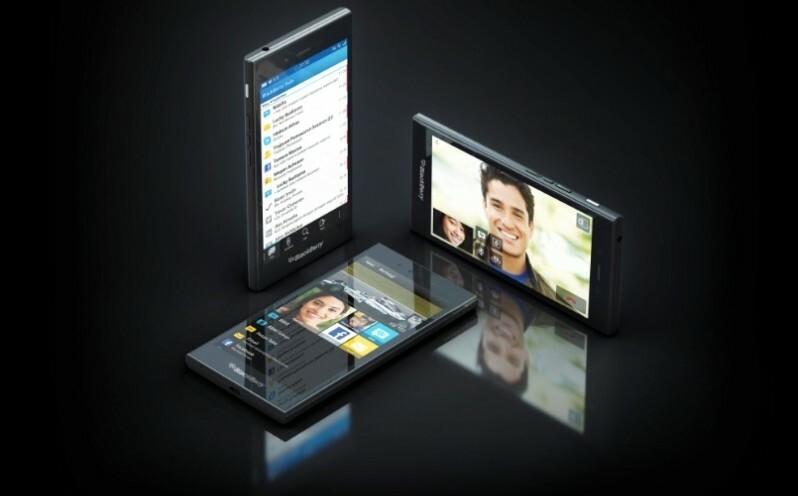 The Internet delivered a render for a new BlackBerry smartphone codenamed Jakarta early last week. That handset, along with another known as the Q20, came to fruition at Mobile World Congress and will be priced under $200 according to CEO John Chen. The first of a new generation of BlackBerry phones, the Z3 features a 5-inch display with beefy bezels across the top and bottom. Although the company hasn’t released a full list of specifications just yet, everything we heard about in last week’s leak – a screen resolution of 950 x 540, a dual-core CPU clocked at 1.2GHz, 1.5GB of RAM, 8GB of onboard storage and a 5-megapixel rear camera – all appear accurate. The Q20, meanwhile, is being marketed as a classic BlackBerry device. It carries a QWERTY keyboard, a trackpad, a touchscreen and even the familiar Menu, Back, Send and End buttons. Designed with big businesses and government clients in mind, it’ll be powered by BlackBerry 10 and arrive sometime in the second half of this year. Both phones were designed by Foxconn with the company’s chairman, Terry Gou, on hand for the reveal. Typically, a phone can take up to a year to develop but Foxconn was able to come up with both designs in just three months, we’re told. The Z3 will arrive on major carriers and retailers in Indonesia starting in April before heading to other markets. Further details on pricing and availability of the Q20 will be announced at launch, the company said.